Oolong Tea is Worth Adding to Your Diet! Increase Energy Levels, Alertness & Improve Your Mood! Who Should Drink Oolong Tea? It's amazing how something as simple as oolong tea can provide such a wide range of health benefits! From feeling happier and more alert to enjoying fresher breath-oolong tea can take you to that happy, healthy place! The health benefits of tea have been widely discussed throughout history and across continents, but when it comes down to modern scientific studies, not all teas are equal! Over the past several years, oolong tea has rapidly been proven to be one of the most beneficial varieties. The more it’s studied, the more health benefits of oolong are discovered. Jam packed with antioxidants, it’s been shown to assist in everything from osteoporosis prevention to diabetes and dental care. It might sound too good to be true, but research is showing that oolong tea benefits the body and mind in a variety of ways. Black, green, and oolong teas all come from the leaves of the Camellia sinensis plant, but they acquire their specific colors and properties through processing. While black tea is fully fermented and green tea isn’t fermented at all, oolong is only partially fermented. This allows it to retain some of the beneficial components of unfermented tea, while also acquiring the health benefits that are found in fermented foods and drinks. Oolong tea is often served with meals in Chinese restaurants, and has a strong, smooth flavor that tastes best without the addition of sweetener. Keep reading to learn the top 10 benefits of oolong tea! This is a big one! You may have heard a lot of hype surrounding oolong tea’s role in weight loss, but there’s plenty of research to back up its reputation. Scientists recently proved that drinking oolong tea significantly increases the body’s ability to burn calories, as well as to oxidize fat by about 12%. Polyphenols, a type of antioxidant micronutrient found in plants, also hinder the body’s ability to store new fat. When you factor in the energizing properties of caffeine, oolong proves to be a valuable weapon in the fight against fat! Polyphenols don’t just help with weight loss. These antioxidants prevent free radicals from forming and slow down cell oxidation, leading to fewer wrinkles and age spots, and better overall skin tone. Some studies have shown that antioxidants even help to repair pre-existing sun damage. Studies seem to indicate that regular consumption of oolong tea can decrease levels of bad cholesterol. Certain compounds in the tea seem to be able to dissolve triglycerides, which lowers cholesterol. Not only does it seem to help individuals with coronary artery disease, but oolong tea benefits those who are hoping to prevent heart trouble as well. Whether you’re diabetic or simply trying to prevent food cravings, studies have shown that oolong tea has a stabilizing effect on blood sugar levels. In fact, it seems to maximize the effectiveness of certain diabetes medications. One of the most surprising benefits of tea is that both oolong and green varieties appear to prevent tooth decay and help freshen your breath. Both teas halt the growth of bacteria in the mouth, as well as slow acid production, which leaves you with fresher breath. This also leads to fewer cavities and better oral health overall. Who would have thought? After washing your hair as usual, try rinsing with brewed oolong tea to add extra shine and strength to your hair. You’ll love how soft it feels! An excess of the male hormone DHT can cause hair loss in men and women. One of the many oolong tea health benefits is that its antioxidants appear to stabilize the metabolism of DHT. If you’ve been alarmed by the amount of hair lost while brushing, give oolong tea a try! Oolong tea has long been used for its health benefits in China, and a recent study of elderly Chinese women has shown us another reason for its reputation. The women who didn’t drink oolong had a significantly lower bone mass than those who did, even when controlled for other lifestyle factors. Higher bone density means a lower rate of bone loss and reduced chances of osteoporosis. Like black and green teas, oolong contains a certain amount of caffeine. At 50-75 milligrams, that’s significantly lower than both black tea and coffee. If you need a bit of caffeine in the morning, but don’t want the racing heart or stained teeth often associated with drinking coffee, give oolong tea a try. It’s been shown to improve alertness and mood. 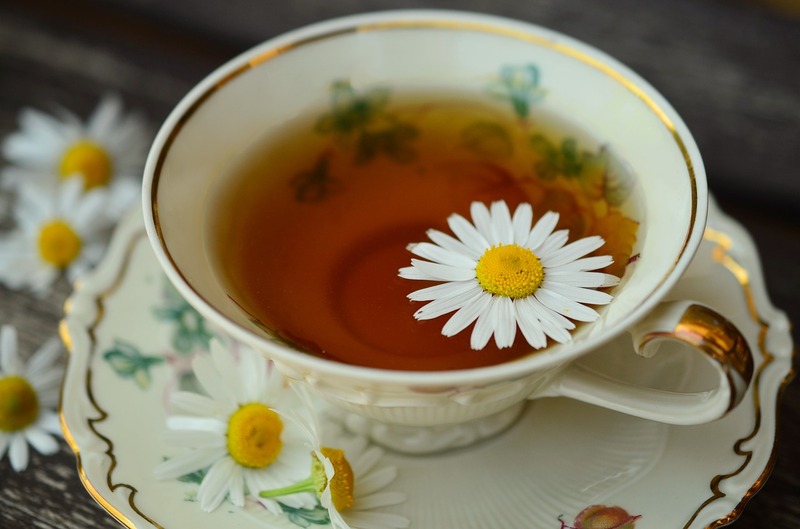 Get some antioxidants, and other tea health benefits, along with your morning burst of energy! Eczema and dermatitis can occur when the body undergoes an allergic reaction, resulting in inflammation. Whether drunk or applied as a compress, the polyphenols in oolong tea have strong anti-inflammatory properties that can clear up a case of eczema in a matter of weeks. If you’re pregnant, or sensitive to caffeine, you may want to limit the amount of oolong you consume on a daily basis and consult with your doctor before adding it to your diet. Too much caffeine can cause a range of unpleasant symptoms, from heart palpitations to diarrhea. However, when used in moderation, oolong tea has a range of health benefits that can help almost anyone feel and look their best!